The company announced yesterday that it would double its Airbus fleet from 9 to 18 aircraft in Summer 2019 following the completion of Ryanair’s purchase of 75% shareholding in Laudamotion GmbH from Niki Lauda in August. Laudamotion also announced a series of initiatives to support Laudamotion’s continued growth. Among these are confirmed delivery dates for 9 additional Airbus A320 aircraft for Summer 2019. 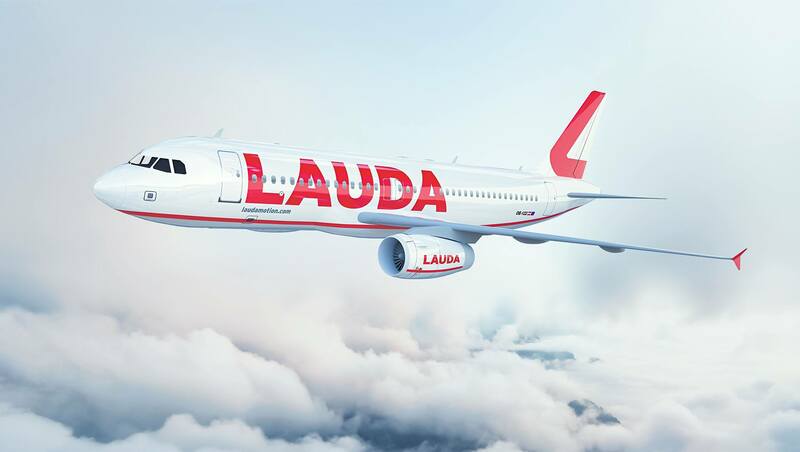 Aircraft will be painted in a new livery that will reflect Laudamotion’s Austrian heritage. New Vienna offices will accommodate more and guaranteed highly paid jobs: guaranteed Captain starting basic pay of €90,000 p.a., (higher than Wizz €56k, Level €72k andEurowings €78k) and guaranteed First Officer starting basic pay of €46,000 p.a., (higher than Wizz €26k, Level €38k and Eurowings €44k) and a stable winter roster 5 days on, 3 days off (a bank holiday every weekend). Ryanair acquired almost 25% of the company earlier this year which increased to 75% in July after it gained EU Competition regulatory approval.